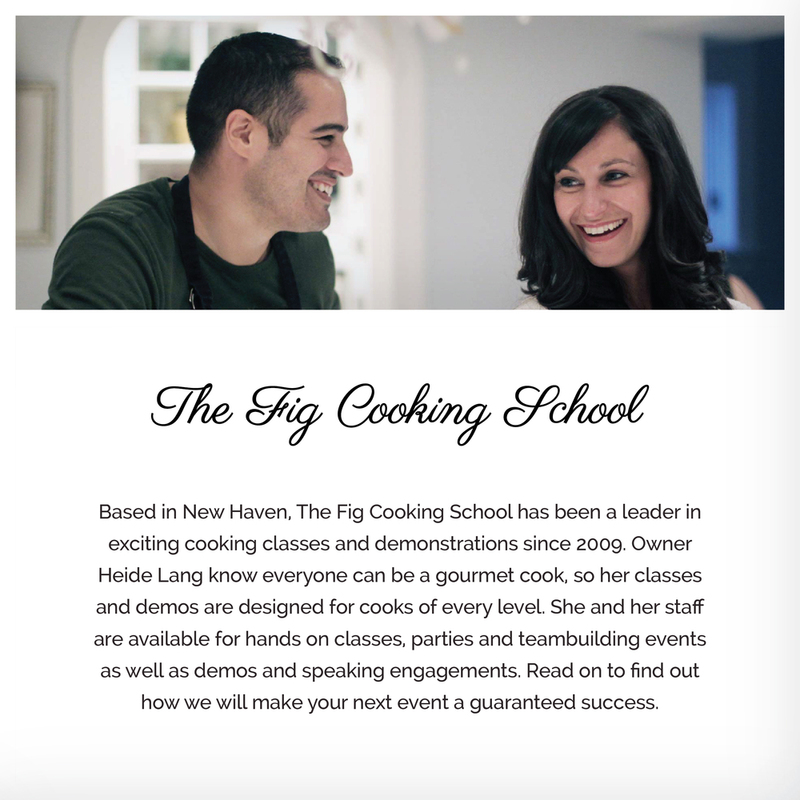 Based in New Haven, The Fig Cooking School has been a leader in exciting cooking classes and demonstrations since 2009. 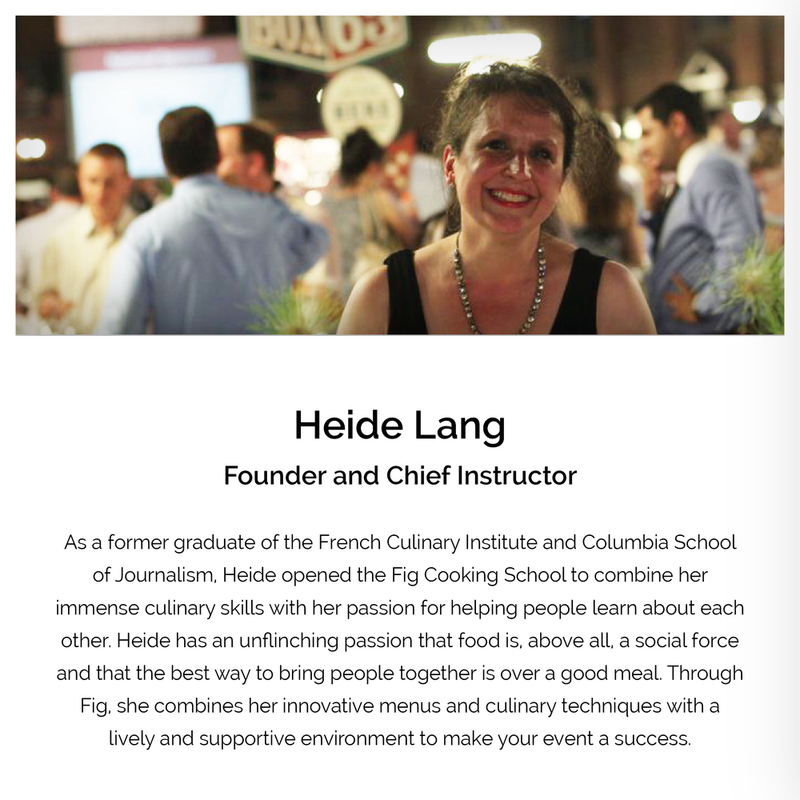 Owner Heide Lang know everyone can be a gourmet cook, so her classes and demos are designed for cooks of every level. 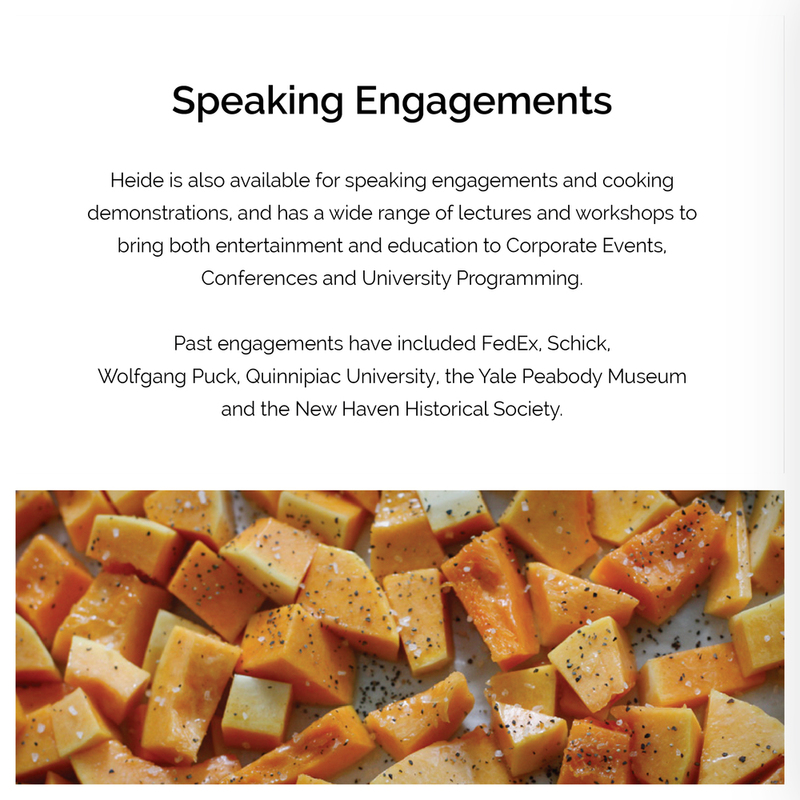 She and her staff are available for hands on classes, parties and teambuilding events as well as demos and speaking engagements. 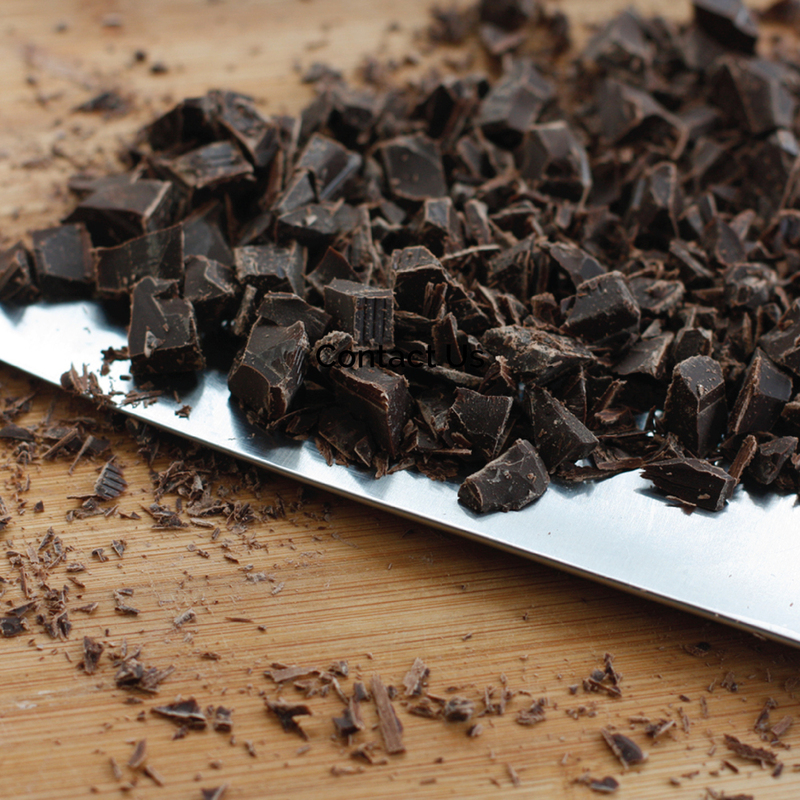 Read our digital brochure below to find out how Fig will make your next event a guaranteed success.